Over the last 30+ years we’ve hosted casino parties that were intimate and others that were huge affairs. Weddings, company holiday parties, class reunions, fundraisers – they can involve hundreds of people all in one place. Finding a venue that can accommodate all of the guests is often the biggest challenge. The more people there are on the guest list, the fewer options you’ll have and the more logistics you’ll need to work around. More people and moving pieces, usually means more considerations that have to be taken into account. Below are a few of the logistics that can’t be overlooked when you’re planning a Texas-sized soirée. We won’t bore you with details on how the calculations are configured, but guidelines in the International Building Code help establish the maximum number of people that can be in a building at once. This includes every single person from the caterers in the kitchen to the people on the guest list. It’s best to err on the side of caution and find a venue with a maximum capacity that’s at least 15% more than the number of guests. Having enough room for everyone’s vehicles is another consideration that has to be worked out before the event. Is there enough space onsite? Is there are nearby lot that can be used? Will you need to have a valet service? Once the details are worked out let your guests know about the parking situation so there’s no confusion at the event. Serving hundreds of people is like feeding a small army. The caterers will need space for prep, cooking, plating and storing food. Your menu also may be impacted by the size of the kitchen. In a large, wide-open venue you can lose the feeling of intimacy or quiet areas for conversation. A seating section with tables that seat 6-8 people is one way to encourage conversing. Our casino games also have a similar effect. Venues that have small areas off of the main hall can provide adequate space for the group and someplace for people to talk away from the action. There’s nothing worse than having to wait in a long bathroom line during an event. You know you’re missing the action, but there’s not much you can do about it if there aren’t enough bathrooms to accommodate everyone at the event. United Site Services estimates that people will need to use the facilities once every 3-4 hours. If guests are enjoying food and beverages the need can nearly double. If the event is being held outdoors, you’ll have to determine how many port-a-potties to set up and arrange for delivery. Of all the Austin venues that we’ve worked in and toured, the ones below offer some of the most impressive spaces for even the largest parties. 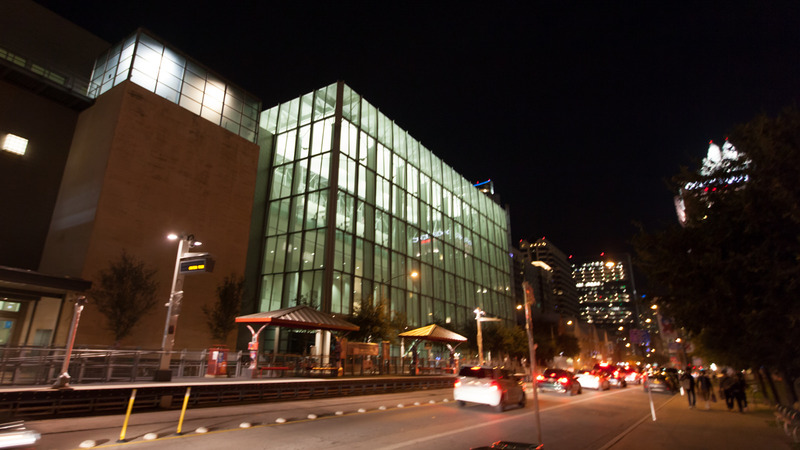 Austin Convention Center – When you need the largest indoor space possible and access to big screen media equipment, the Austin Convention Center is a top choice. You can rent out a hall or ballroom within the venue, a whole level or the entire venue. Hilton Austin (Downtown Location) – Right next door to the Austin Convention Center you’ll find the Hilton Austin. It’s central location and ample space makes it a popular venue for large weddings and business events alike. There are 38 rooms that can be reserved for a total of 80,000 square feet of space. JW Marriott – Also just around the corner from the Austin Convention Center is the JW Marriott. This luxury hotel has an amazing conference center and a sophisticated media setup. You can also reserve outdoor space for a sizeable event. Renaissance Austin Hotel – If you’re looking for a more tranquil location that isn’t in the middle of downtown Renaissance Austin Hotel is a spectacular option. Located in the Arboretum area, the Renaissance is a newly renovated luxury hotel with plenty of room to spare. The hotel also offers complimentary onsite parking as well as valet services. Palmer Event Center – The Palmer Event Center hosts a variety of events throughout the year from private parties to citywide events. Its location in Butler Park gives you the opportunity to use outdoor spaces to increase capacity. If you’re planning an extremely large party Casino Knights can help you keep everyone entertained. We have a huge selection of Vegas-style casino games, experienced dealers and all the extras that make it a night to remember. Our fundraising event services can even help you raise money for your cause. Give us a call today to discuss the specifics of your party!